Tourist Places - Hotel Padmini Place | Udaipur Budget Hotels | Budget Hotel Booking in Udaipur| Udaipur Luxury Hotels | Cheap Hotels in Udaipur. 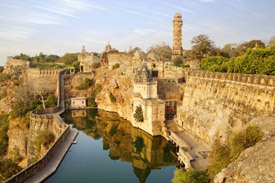 Several places of interest around Udaipur, including the majestic Chittaurgarh, the mountain fortress of Kumbhalgarh, beautiful Jain temples of Ranakpur, religious townships of Eklingji and Nathdwara and the cool retreat of Mount Abu, make the visit to this region a memorable one. 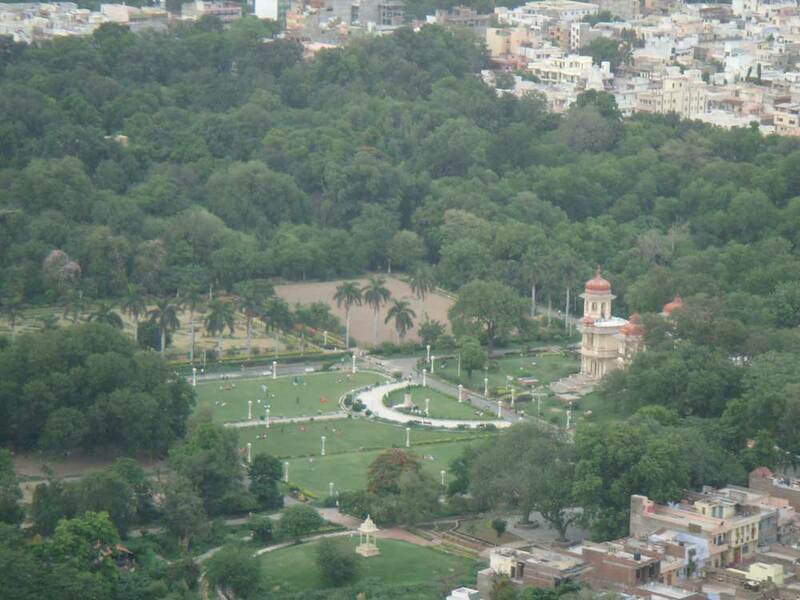 This is the largest garden of Rajasthan, which covers 100 acres of land. It was built by Maharaja Sajjan Singh (1874-1884). 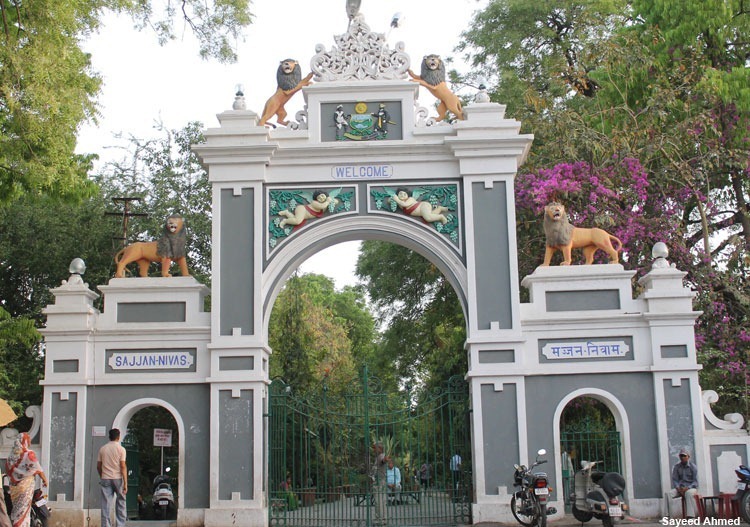 A library and a zoo are also situated in this garden. 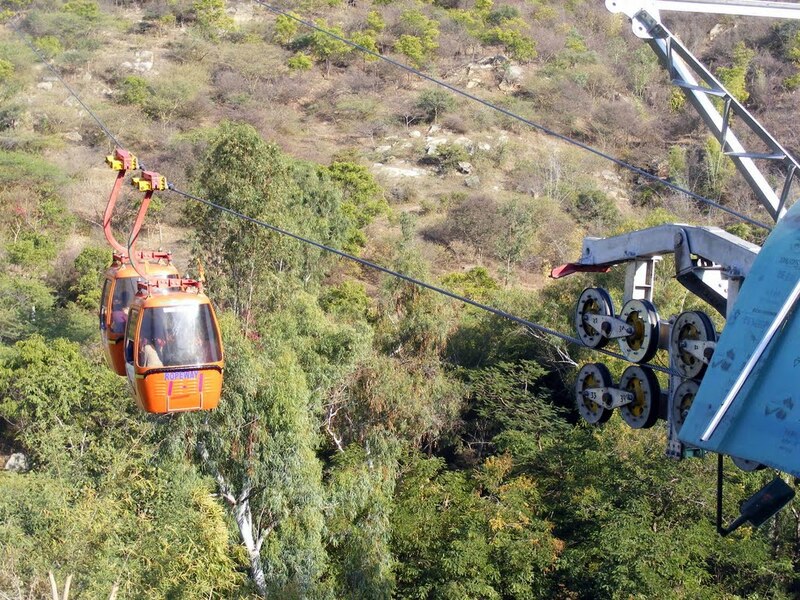 Udaipur Ropeway is Between popular tourist spot Deen Dayal Park on the top of hill near lake pichola and Machhala Hill Top near Karni Mata temple. 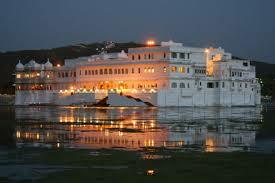 This famous palace was built by Maharaja Jagat Singh in 1746. 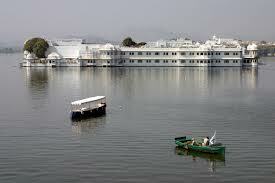 At present there is a hotel, known as Hotel lake palace. 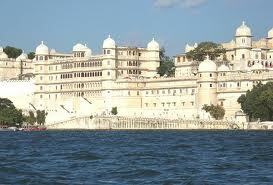 Maharana Udai Singh started building the biggest palace of Rjasthan on the Shore of Pichhola Lake in 1559. Rai Angan is the oldest portion of this palace, which was built by Maharana Udai Singh in 1565. Every Maharana was crowned here for the first time. 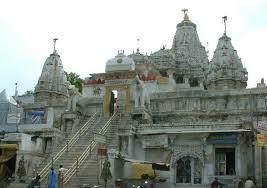 This beautiful temple is situated on 25 high platforms and is about 200 feet from the Raj Mahal Palace. It was completed by Maharana Jagat Singh in 1653. This temple contains the idols of Lord Vishnu and Godess Laxmi. 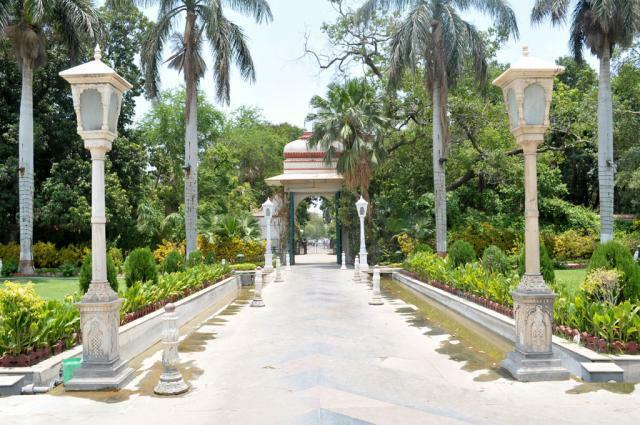 Its a nice lovely Garden which has several levels like Aravalli Mountains.There's no ticket for entry,garden is lush green with lovely flower beds and brick. It is situated on Moti Magari in the city. 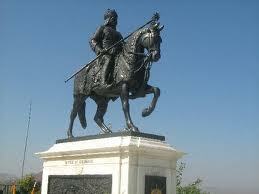 There is a bronze statue of Maharana Pratap risidin his horse Chetak. There are some ruins behind this statue, which were built by Maharaja Udai Singh in 1554 A.D. for his residence. Panoramic view of Udaipur city can be seen from this place. 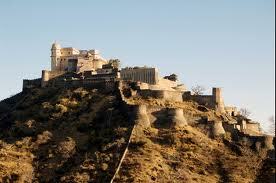 Maharaja Jai Singh built it in 1679 and Maharaja Fateh Singh got it rebuilt in 1884 A.D. 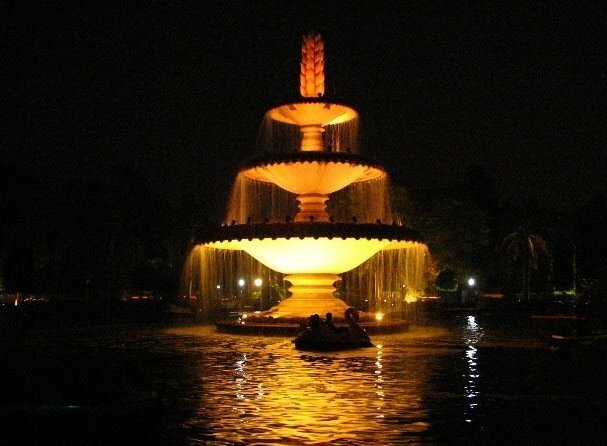 It beautiful garden is situated in the middle of Fateh Sagar Lake on an island. Beautiful flowers and fountains make it an ideal place for tourists. Boats are available to take visitors to the island. 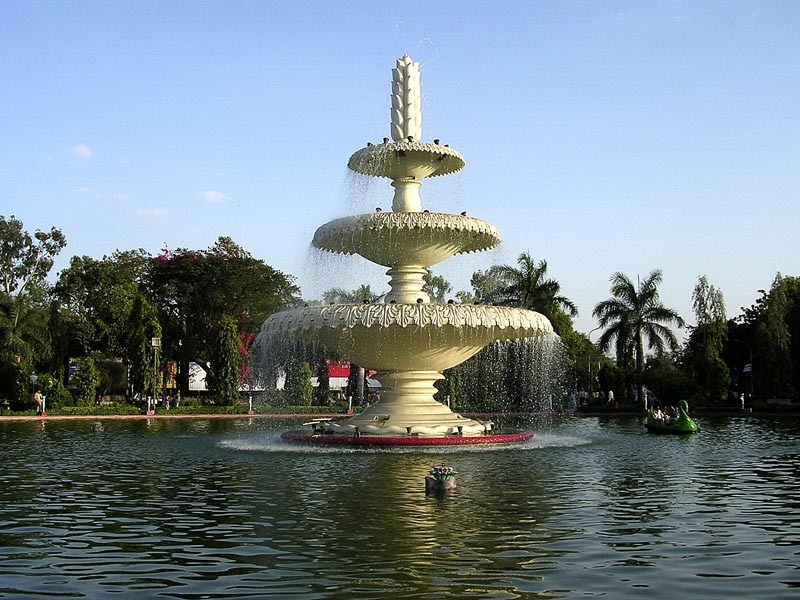 Sukhadia Circle (Square) is a large roundabout in the city's northern suburb of Panchwati, on the road to Ranakpur and Mt. Abu. The Circle is a popular for Mumbaiya Market and Boating in Sukhadia Circle. 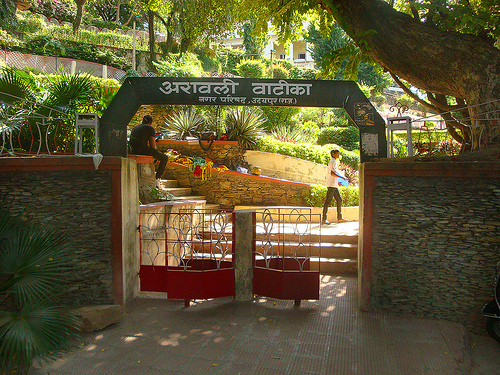 Bhartiya Lok Kala Mandal was founded by Padma Shri Devilal Samar in 1952. The main objective of this Institute is to conduct studies on folk art, culture, songs and festivals of regions like Rajasthan, Gujarat, Madhya Pradesh etc. and to revive a vanishing folk culture. 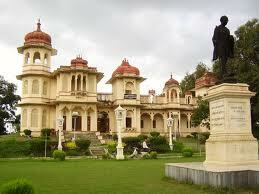 It was built by Maharaja Sajjan Singh 1884. 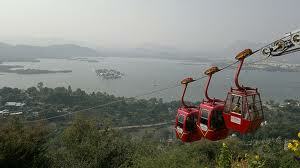 It is situated on the highest peak of Udaipur. It was completed by Maharaja Fateh Singh. The city of Udaipur can be seen from here. 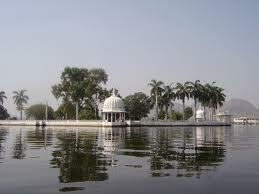 Situated 3 kms west of Udaipur near the Havala village is the Centre's Shilpgram. An attraction no less of the Rural Arts and Crafts Complex is the open air Amphitheatre with a seating capacity of approximately 8000. Besides the major theatre festivals which the Centre hold here, it is hoped that this facility would motivate the local community as well as outside visitors to take a keener interest in theatre and the traditional folk performing arts. 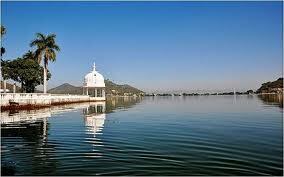 The temple of Ekling ji is 30 kms away from Udaipur. Maharaja Bappa Rawal built the temple of Ekling ji. 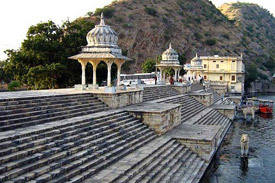 Ekling ji is said to be presiding deity of Mewar Empire and every government work was done by the name of Ekling ji. There are four-mouthed black idol of Shiva in the temple. The height of the temple is 60 feet and diameter is 50 feet. 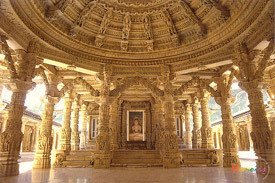 The architecture of the temple represents different aspects of architecture. Nathdwara is 55 km from Udaipur. Devoted to Lord Krishna, Shrinathji Temple houses a black stone image of lord Krishna. Legend goes that that the statue was brought from Vrindavan in 1669 to protect it from Aurangazeb. The wheels of the cart carrying the statue were stuck in the deep mud while passing through Nathdwara, and consequently the Srinathji temple was built on the spot with the permission of the then Rana of Mewar at Nathdwara. It is the place where the famous battle Haldhi Ghati was fought between Akbar and Maharana pratap in 1576. In this battle Chetak (Maharana Pratap's legendry horse) breathed his last. The tomb of Chetak is also here. The soil of this place is red and yellow. 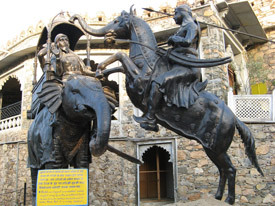 Chittaur evokes memories of great heroism and sacrifice by Rajput men and women in the intermittent battles that they had to fight against invaders from Northwest or Delhi. Chittaur witnessed both the ravages of war and the triumphs of the spirit. Allaudin Khilji who coveted Queen Padmini of Chittaur, invaded the city in 1303 A.D. Queen Padmini and the women of the court sacrificed themselves in a pyre of fire rather than submit to anybody. This supreme sacrifice has been called 'Jauhar' and epitomises the fiery spirit of the Rajputs of the day. The city stands strewn with monuments and battlements as evidence of the blood and gore that it went through in medieval times. Sanwaliya Seth is Avatar of Lord Krishna. Sanwaliyaji also known as sanwariyaji or sanwariya seth or sanwara seth or setho ke seth.This temple is very famous in north india especially in Rajasthan, Gujrat, Maharashtra,Uttar Pradesh & Madhya Pradesh. 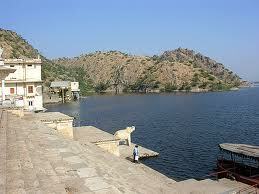 This huge lake is 58 kms away from Udaipur .it is also known as Dhebar. 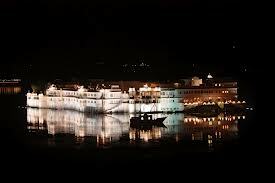 It was built by, Maharaja Jai Singh in 1691. It is 10 miles wide, 6 miles long and 100 feet deep. The islands in this lake are inhabited by the Bhils (tribals). They use traditional wood boats to travel. This lake is a part of game sanctuary established by the state government. This temple is 95 km from Udaipur. It is a unique specimen of art and architecture. Being surrounded by the Arawali hills, it is famous all over the worked. It was built by Dham Shah Porval Jain during the reigns of Maharaja Kumbha in 1432. Maharaja Kumbha loved architecture and he helped to complete this temple. 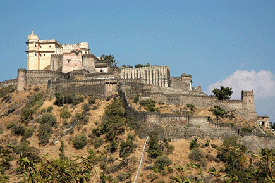 The climate of Udaipur is hot and dry during summer. The summers start in month of April and last till end of September. Winters are pleasant with temperature dropping upto 3ºC during the night. The best time to visit city of lakes is during the months of October to March. Udaipur is connected by major road link between Mumbai, Delhi and Ahmedabad. The Rajasthan, Gujarat, Uttar Pradesh and Madhya Pradesh road transport corporation operate buses to Udaipur from various region. Udaipur is on the western railway network. The railway station is about 1 km from the Hotel Padmini Palace. Udaipur is directly connected by rail with Delhi, Mumbai, Kolkata, Jaipur, Ajmer and Jodhpur.